Open University requires a Add/Drop form for each class you wish to add. Each Add/Drop form must be signed by the professor during the first course meeting. 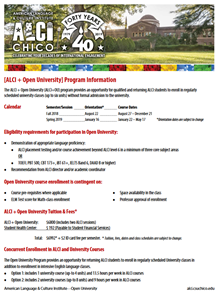 ALCI can assist you with Open University enrollment.